Shop There are 7432 products. The NEW Dolfi Casa Collection is a straordinary high quality Home Accessories and Interior Design line. You can find us over the internet under following keywords: armoires, bed, bedroom, bedroom set, bedroom sets, beds, bookcase, bookcases, cabinets, chair, chairs, coffee table, coffee tables, contemporary, couches, desk, desks, dinette, dining room, dining room sets, dining room table, dining room tables, dining tables, dressers, end tables, fine, furnishing, furnishings, Henredon, home furnishing, home furnishings, interiors, kincaid, living room, Pulaski, recliners, sectionals, showroom, showrooms, sofa, sofas, tables, Thomasville, upholstery, flexsteel, living room sets, furnishing store, furnishing dealer, furnishing showroom. Visit the new Dolfi Casa catalog online or download the Dolfi Casa catalog on the following pdf program www.dolficasa.com now!!! Every occasion is the right occasion: a birthday, Christmas, Valentine’s Day or Mother’s Day. DOLFI’s wide array of products provides many gift ideas made of wood. It’s often difficult to find the perfect gift for a loved one, a gift which they will like and use in their everyday life. Rely on our exclusive products! Hand crafted in Alto Adige, a region renowned for its woodcarving: Val Gardena. Dolfi wooden carved nativity if a true collectible all over the world. The Dolfi wooden nativity sets are in various shapes styles and executions. The wooden nativity scene that are on sale on line on this pages are absolutely the highest and finest wood carving nativity on the market. Contrary to the Fontanini nativity set made in PVC, all Dolfi nativities are wood carved and hand made in Italy, painted in the small town of Ortisei, Valgardena, Dolomites in north Italy. In our new headquarters called the Dolfi Land you can find all kinds of wood carving such as: Wooden Christmas decoration and wooden Christmas decorations, wooden Christmas ornament and wooden Christmas ornaments, wooden Christmas tree ornament and wooden Christmas tree Ornaments, wooden nativity and wooden nativity scene. The new Dolfi nativity and wooden nativity sets, such as Christmas Figures are sold il many Toy stores and Christmas store all over Italy, Germany, Europe and USA. Visit the new on line shop and buy now!!! The Dolfi Collections are made in Italy and contains tree ornaments, wooden toy and wooden toys, christmas figurines, fontanini, nativity scenes, personalized christmas ornament and wooden personalized christmas ornaments, christmas nativity. childrens nativity, holy family nativity, life size nativity, nativity christmas tree, nativity collection, nativity craft, nativity crib, nativity italy, nativity jesus, wooden jesus, church nativity,german nativity, nativity toys, wooden manger, catholic nativity, children's wooden, german nativity sets, holy family figurines, nativity angel, nativity angels, nativity decorations, nativity gifts, nativity Italian, nativity outdoor scenes, nativity scene Christmas, nativity set wood, nativity three kings, nativity toy, nativity tree, olive wood nativity sets, outside nativity, roman nativity, santa nativity, wise men nativity, wood nativity sets, wooden advent, wooden child, wooden collection, wooden crèche, wooden glass, wooden mangers, wooden outdoor. Discover our lovely wooden gifts: elegant ballpoint pens, lovely jewelry, fun toys of wood, elegant watches with wooden appliqués and much more. Dolfi's new hand crafted wooden flowers und fragrances bring the art of nature of the italian mountains to your home. Whether for yourself or for a gift, these wooden flowers will bring a smile to whomever receives them. The Dolfi wood carved Body of Christ is a special wood carving that people from all over the world can admire in many Christian catholic and Evangelic Churches around the World. The bible studies motions in many parts Jesus Christ and the words of Christ. The way of Christ life has been established in many countries around the world. The Dolfi wood carved Risen Christ can be bought in the best catholic gift stores and church supplies in the USA, Europe, South America and Far East like the Philippines, Korea and Japan. 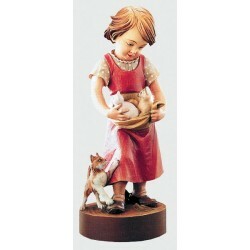 Furthermore, the Dolfi wood carving Body of Christ Art is sold in Religious gifts stores and stores with wooden gifts. Besides the art of wood carving the selected Dolfi dealers and stores carry also religious jewelry, wooden rosaries, catholic books, Christian gifts, wooden crucifixes, Jesus Chrst wood carvings. Curiosity: Jesus send the Lady of Medjugorje to tell better to all the people world wide the Christ Life.The Dolfi wood carved catholic crucifixes are hand painted and made in Italy in Ortisei , the small town in the Dolomites of the Dolfi laboratories. The Dolfi wood carving Cross can be made by hand in different colours as gold crosses, silver Christian Cross, red wooden Crosses, wooden red wall crosses. 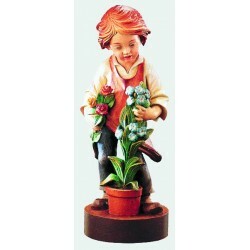 Dolfi Wood Carving Collections can be find in over 80 countries worldwide and 8000 authorized dealers and specialized stores for wooden collectibles, Christmas Stores, religious stores, department stores, furniture stores, online store, department store, furniture store, online stores, jewelry stores, pet store, jewelry store, mall stores, retail store, retail stores, toy stores, discount stores, discount store, general store., home stores, American store, game store, game stores, i store, candy stores, beauty store, bridal stores, lighting stores, mattress stores, outdoor store, antique stores, appliance stores, avenue store, card store, consignment stores, kitchen store, shopping stores, web store, wine stores, app store, country stores, dress store, kitchen stores, rainbow store, catholic book stores, army navy stores, bead stores, beauty supply store, bed stores, consignment store, dept stores, e store, gift stores, mattress store, religious christian book store, scrapbook stores, antique store, book store, beauty supply stores, carpet stores, corner store, fashion stores, lighting store, outdoor stores, part store, photo store, cigar store, jewellery stores, maternity stores, religious book stores, discount furniture stores, vanity store, italian store, jewelery stores, google store, stationary store, stationary stores, jewerly stores, home goods stores, funiture stores, religious catholic book stores.The Dolfi World of Wood Carving is a form of working wood by means of a cutting tool held in the hand (this may be a power tool), resulting in a wooden figure or figurine (this may be abstract in nature) or in the sculptural ornamentation of a wooden object. The phrase may also refer to the finished product, from individual sculptures, to hand-worked mouldings composing part of a tracery. The Dolfi Carving: A Dolfi wood carver begins a new original carving by selecting a chunk of wood the approximate size and shape of the figure he or she wishes to create. The type of wood is important. Hardwoods are more difficult to shape but have greater luster and longevity. Softer woods may be easier to carve, but are less resistant to damage. Once the Dolfi sculptor has selected their wood, he or she begins a general shaping process using gouges of various sizes. The gouge is a curved blade that can remove large portions of wood smoothly. For harder woods, the sculptor may use a chisel and mallet, similar to a stone carver. Smaller sculptures may require the wood carver to use a knife, and larger pieces might require the use of a saw. No matter what wood is selected or tool used, the Dolfi wood sculptor must always carve either across or with the grain of the wood, never against the grain. Once the general shape is made, the Dolfi carver may use a variety of tools for creating details. For example, a “veiner” or 'fluter' can be used to make deep gouges into the surface, or a “v-tool” for making fine lines or decorative cuts. Once the finer details have been added, the Dolfi wood carver finishes the surface. The method chosen depends on the required quality of surface finish. The texture left by shallow gouges gives 'life' to the carving's surface and many Dolfi carvers prefere this 'tooled' finish. If a completely smooth surface is required general smoothing can be done with tools such as “rasps,” which are flat-bladed tools with rippled edges. “Rifflers” are similar to rasps, but round in shape for working in folds or crevasses. The finer polishing is done with sandpaper. Large grained paper with a rougher surface is used first, with the Dolfi sculptor then using finer grained paper that can make the surface of the sculpture slick to the touch. After the Dolfi carving and finishing is completed, the Dolfi artist may seal & color the wood with a variety of natural oils, such as walnut or linseed oil which protects the wood from dirt and moisture. Oil also imparts a sheen to the wood which, by reflecting light, helps the observer 'read' the form. Carvers seldom use gloss varnish as it creates too shiny a surface, which reflects so much light it can confuse the form; carvers refer to this as 'the toffee apple effect'. Dolfi objects made of wood are frequently finished with a layer of wax, which protects the wood and gives a soft lusterous sheen. A wax finish is comparatively fragile though and only suitable for indoor carvings. My Dolfi, Irresistible in Wood. Visit the Dolfi new online shop now!!! Dolfi the World of Wood Carvings! The bomboniera Dolfi is a special gift and brings luck to your friends when you get married! This are verz special items composed out of 6 natural kinds of wood, warm soft, rounded forms and pleasant to take in hand and cuddle, as to convey warmth and love for the person who gives and who receives it. So is this unique gift that brings us into the world of nature made by various animals that are loved by young and old. And as if that was not enough there's more, these animals are wrapped in a casing of straw, in their natural world are ready to transmit the heat and let them dream about receiving. 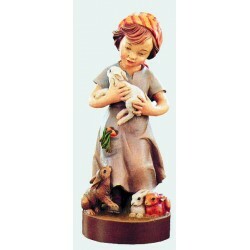 On this online pages the Dolfi Wood Carving Studios offer items on sale such as collectibles and gift ideas. We offer different kind of wood carvings services such as: wood carving sculpture, wood carving set, wood carving supplies, art wood carving, wood carve, large wood carving, wood carving statue, wood carving, relief wood carving, wood carving designs, wood for carving, custom wood carving, decorative wood carving, wood carving furniture, wood carving machine, wood carving sculptures, carving woods, history of wood carving, wood carving classes, wood carving techniques, wood sculptures, woodcarvings, chainsaw carving, woodcarving tools, bird carving, chip carving, carving supplies, relief carving, wood carver, wooden carvings, wood carvers, ironwood carvings ,tools carving ,woodcarving supplies, woodcarving book ,woodcarving patterns, woodcarving wood, wooden carve, furniture carving, 3d woodcarving, buy woodcarving, carved ironwood, chrispye woodcarving, cnc woodcarving, decorative woodcarving, kukstis woodcarving, mdi woodcarving, woodcarving club, woodcarving com, woodcarving dvd, woodcarving events, woodcarving forum, woodcarving machine, woodcarving online, woodcarving pictures, woodcarving sites, woodcarving suppliers, woodcarving technique ,woodcarving tutorial, woodcarving uk, woodcarving video, woodcarving videos, www woodcarving, youtube woodcarving, church supply, catholic church supplies, religious supply, christian supply church goos supply .On the discount items you will find any kind of wood carved gifts such as: wood carved angel , wood carved angels, wood carved nativity, wood carved nativities, wood carved statues, wood carved saints, wood carving in for of statuary, wood carved Fatima, wood carved Lourdes, wood carved Padre Pio, wood carved Medjugorie, wood carved Madonna statues, the carved St. Anthony statue in wood, wood carving Risen Christ, wood carving body of Christ. Besides the wood carvings there is a wide range of wooden furniture and home accessories. Visit this on line shop now! Decorating your child’s space with great Wooden Kids Toys can really motivate them in taking their first steps toward life-long organizational skills. It’s proven that a room that is organized creates an atmosphere of calm and encourages development, learning and better rest. 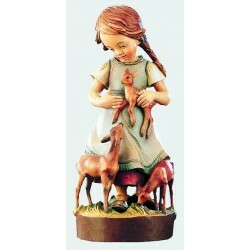 To assist in leading your children down the path of neatness, check out some of the unique Dolfi Childrens wood carved Kids Toys Nativity seens called “Aurora”, the wooden Dolfi Collectible Doll Collection “Annamaria”, the 3D wooden Puzzles or the new Dolfi woodcarving Namely items we have available. Make your child’s room a place that is inviting not only for them, but their friends as well, by providing plenty of stimulating color and comfort. With one or two of our great Dolfi woodcarvings shaped like a brightly colored piece or other creatively designed wood carved collectible you'll be providing a fun and comfortable way for your kids to sit and relax while enjoying a day of fun and interactive learning with any of the Dolfi Wooden 3D Puzzle educational toys found here! The collection of wooden saints like wooden figures, wooden statues and sculptures in wood are designed in laboratories Dolfi Ortisei, Val Gardena in it, it in the heart of the Dolomites, Bolzano, en, en Castelrotto it in Trentino Alto Adige, it, Made in Italy. Dolfi artists specialized in the production of sacred art sculpture sculptors are experts in the production of saints in size or any size requested by the customer. The most popular saints in wood are the holy shrines of the world's most famous as the sanctuary of Loreto in Italy, the shrine of Padre Pio in San Giovanni Rotondo in Petralcina Italy, the sanctuary of Shkoder in Albania, the shrine of Mariazell in Austria The sanctuary of BANEUX in Belgium, the shrine of Lourdes in France, the sanctuary of Aachen in Germany, The Shrine of Walsingham in Great Britain, the shrine of Fatima in Portugal, the Shrine of Czestochowa in Poland, the shrine of Santiago de Compostela in Spain and the Sanctuary of Einsiedeln in Switzerland, The Shrine of Guadalupe in Mexico. the sanctuary of Vienna, BOSNIA AND HERZEGOVINA the Shrine of Medjugorje, Belgium and Holland in the Sanctuary of Notre-Dame de Banneux, BRAZIL Sanctuary of Nossa Senhora Aparecida, in Manaus and in the Santuario de Nova Trento Mother Paulina, CANADA the shrine of Notre Dame du Cap in Quebec, CHILE to the shrine of Virgin del Carmen Santiago de Chile and the Santuario de la Vasquez - La Serena, COLOMBIA to the Shrine of Nuestra Senora de Monserrate - Bogota and the Sanctuary of Our Señora de la Paz - Cartago, the sanctuary of the city of ECUADOR Portoviejo, ENGLAND the sanctuary of the National Shrine of Our Lady in Walsingham, the National Shrine of Knock IRELAND, ISRAEL Tagbha in the sanctuary of Capernaum and the Basilica of the Annunciation, the KENYA Kenya's National Marian Shrine, located in Subukia (about 300 km from Nairobi, the Sanctuary of Our Lady of Lebanon of Lebanon - Harissa, the Marian Shrine of Šiluva LITHUANIA (250 km from Vilnius) MEXICO Virgen de Guadalupe Sanctuary powerful, MOZAMBIQUE Our Lady of Fatima Shrine, Namacha, the Lagos NIGERIA Sanuario Mariano, the statue of Our Lady Kona, PARAGUAY the Santuario de la Virgen de Caacupé (Asuncion and the Sanctuary of Our Lady of ITAP (Villarrica), the Shrine of Our Lady of AtatÃ (Encarnacion) PERU 'to the Shrine of the Basilica of San Francisco Lima to Capilla de la Virge of the "O", the Iglesia de San Pedro, Puerto Rico the Santuario de la Virgen de Monserrate of Hormigueros, CZECH REP. Zeliv in the monastery church of the nativity of Mary Bishop of Vladimir Vihlidka, REP. DOMINICAN the Shrine of Nuestra Senora de la Altagracia, ROMANIAla Basilica "Santa Maria" Radna, the sanctuary of Marianka SLOVAKIA (15 km from Bratislava), the Sanctuary SPAIN Zaragoza, the Basilica of El Pilar and other shrines in the U.S. as in Arizona the Sanctuary of Mount Claret Retreat Center, California Shrine Shrine of Our Lady of Peace in Santa Clara, and "The Immaculate Conception Church" in Old Town, Colorado Sanctuary Church Mass Mariana Denver, Florida Shrine Shrine of Our Lady of La Leche in St. Augustine, Illinois on the mountain sanctuary of Holy Hill Milwaukee, Indiana Mary shrine in Monte Casino (Spencer County), New York, the Sanctuary of "The Shrine of Our Lady of Martyrs" Auriesville, Massachusetts Shrine of "Our Lady of Fatima Shrine," the Sanctuary of Minnesota "Assumption Chapel" in Cold Spring, Missouri Sanctuary "Peace House", Oklahoma Shrine of "Our Lady of Fatima Shrine" in Bison, Oregon Sanctuary "The Grotto National Sanctuary of Our Sorrowful in the Mother" Portland, Puerto Rico, the Sanctuary "de la Virgen de Monserrate of Hormiguero", the cathedral of Dallas Texas and St. Mary's Cathedral in Austin, Washington DC, the Shrine of the "National Shrine of th Immaculate Conception "in DC. SWITZERLAND Sanctuary Madonna del Sasso, the Sanctuary of Our Lady of Peace UGANDA, Kampala Archbishop of Gulu John Baptist Odama Etc., VENEZUELA the Santuario de Nuestra Señora de Coromoto in the city of Guanare, Venezuela: Caracas, the Sanctuary of San Antonio de Los Altos, Barquisimeto, and Merida Humocaro. 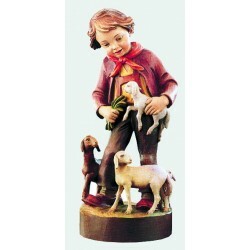 Dolfi Visit the site online religious figures and make your choice for the saint that will protect you for life. The New Dolfi Christmas Home Décor Collection is an exclusive wood carved line for all people who want to have something special in their home to show to their friends. This wood carving Christmas Tree Decoration can be put indoor or is often used for Outdoor Christmas Decoration. This Dolfi online christmas decoration shop will give you many Christmas Decoration and Decorating Idea and Ideas such as Christmas Door Decorations, Christmas Table Decorations, Christmas tree decorating, Cheap christmas decorations, christmas home decorations, christmas tree décor, vintage christmas decorations, christmas décor, homemade christmas decorations. Buy now online! Don’t miss our christmas decoration wholesale offer that our worldwide customers can buy today online. Christmas decorations online and christmas decorations on sale, buy now!. The unique hand carved christmas decorations and wooden christmas decorations are the house decorations that every family would have for Christmas. With the dfferent lines you can crate personalized homemade christmas decoration and vintage christmas decoration as well as reindeer christmas decoration or victorian christmas decoration. The Dolfi history of christmas decoration crafts started with large christmas decorations and christmas decoration pictures for the german christmas decoration market where may companies are producing glass christmas decoration. The Dolfi wood carved old fashioned christmas decorations are selling all over the world because more and more people are looking for unusual christmas woodcarving decorations. Dolfi dealers in the United States that carry american christmas decoration appreciate more and more the European style of home decor for Christmas. The technique of the wood carved 3d christmas decoration came from Matteo Comploi, the Vice President of the Dolfi Group, many years ago. The Dolfi beautiful christmas decor 2008 is now available online. Visit the Dolfi Woodcarvings World and buy now!!! Dolfi carving wood ornament angels with fine angel wings are true woodcarving collectibles. This fine wood carvings are hand made in Italy in our small village of Ortisei in the Gardena Valley in the heart of the Dolomites mountains of northern Italy. There are various types of Dolfi angels as wood carved guardian angels, wood carved cherub, wood carved angel gabriel, wood carved angel of mercy, wood carved angel com, wood carved my guardian angel, wood carved Anaheim, wood carved angelic angel, wood carved angles, wood carved archangel michael, wood carved cherubs. Dolfi carving wood Angel figures are a perfect gift for Christmas tree decorations. Dolfi Wood Carving Angel are perfect for wooden ornaments and angels are spiritual supernatural beings found in many religions. Although the nature of angels and the tasks given to them vary from tradition to tradition, in Christianity, Judaism and Islam, they often act as messengers from God. Other roles in religious traditions include acting as warrior or guard; the concept of a guardian angel is popular in modern Western culture. Angels are usually viewed as emanations of a supreme divine being, sent to do the tasks of that being. Traditions vary as to whether angels have free will or are merely extensions of the supreme being's will. While the appearance of angels also varies, many views of angels give them a human shape. Dolfi wood carving Angels, visit the online shop now!